China is establishing itself as a new international aid donor. This study explains China's emerging approach to international development assistance. The paper addresses the question of how far China's understanding of "development" is an appropriate basis for genuinely "win-win" relationships? The paper explores this question by examining China's relationship with Southeast Asia. China is re-emphasising its commitment and partnership credentials with neighbouring states, some of whom have many people living in poverty and as countries are in need of development assistance. The paper identifies key facets of China's approach to international development, examines economic, political and strategic factors underpinning China's approach in Southeast Asia. Adopting a Human Security perspective, it assesses China's development contribution with reference to Cambodia, Laos and Myanmar and highlights popular opposition. The study finds that Chinese trade and investment are making a significant contribution to the region's economic growth. 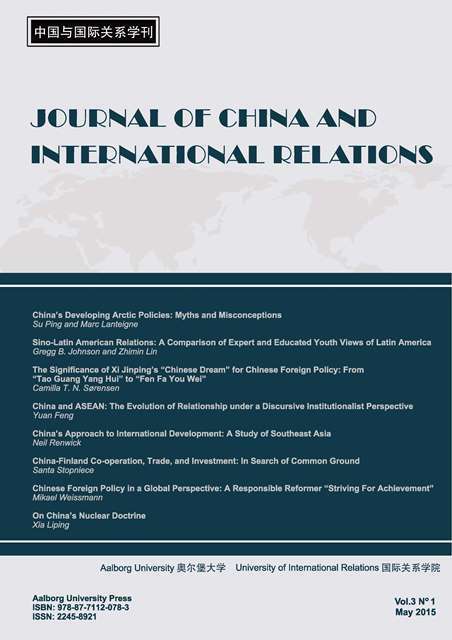 However, the analysis identifies two problems in China's approach, an over-reliance on the level of state-to-state relations and too narrow a domain of engagement centred upon economic cooperation. China needs to incorporate a societal engagement strategy highlighting transparency and accountability of Chinese corporate behaviour. It also needs to re-balance its approach by emphasising human capital capability and capacity-building across the non-economic social and cultural domains. China's approach to international development is a rapid learning process and is emerging, but still has further to go.